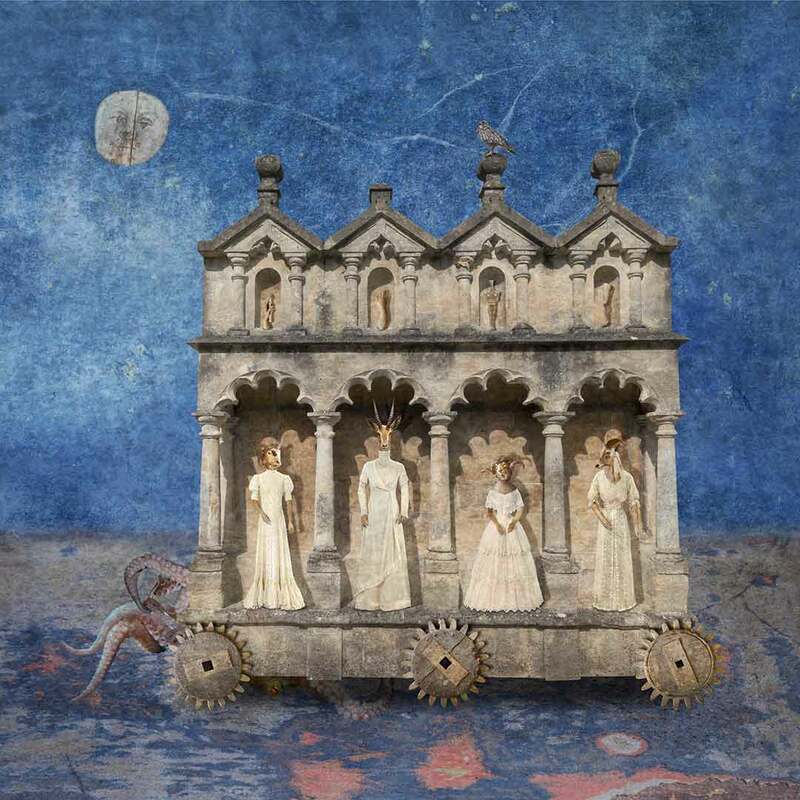 Cloister Muse is an image by Paul Biddle of a Cloistered stone house on wooden wheels. There are four fabulous beasts in cream coloured antique dresses. It has the feeling of magic realism and enchantment. It is a moonlit scene of mystery.